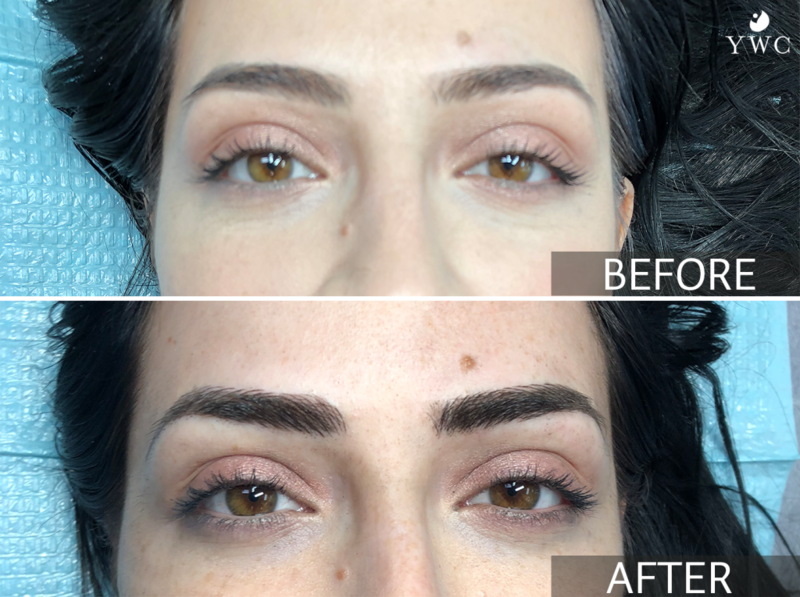 Microblading is a semi-permanent makeup method that fills in the areas of the eyebrow to create full, natural-looking brows. The brows will last 1-2 years, with touch-ups every year to maintain the best color. Before pictures are taken. We always love to see the transformation! The brow design is drawn in pencil so you can see the shape and form. Once the design is decided, the color is chosen. A topical anesthetic will be applied to ensure comfort. In 4-6 weeks, the pigment will fade and it’s time for your first touch-up. This allows us to make any adjustments you’d like. The next touch-up will be in roughly a year! 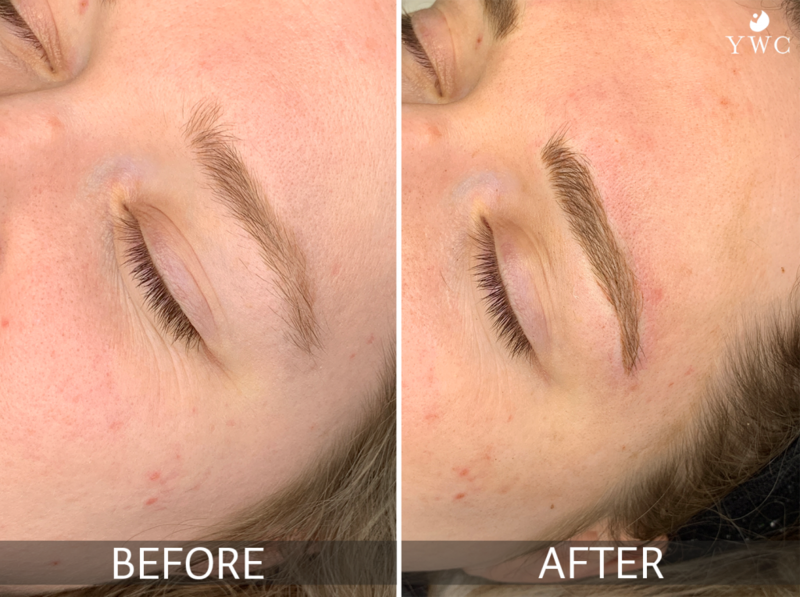 Microblading is performed on your eyebrows. Topical anesthetics are applied to limit discomfort. Some clients may feel more sensation in one brow than the other. The appointment time is scheduled for 2 hours, but the actual treatment time is only 15-20 minutes. We do this to ensure you have adequate time to numb, ask questions, and discuss your goals without feeling rushed. 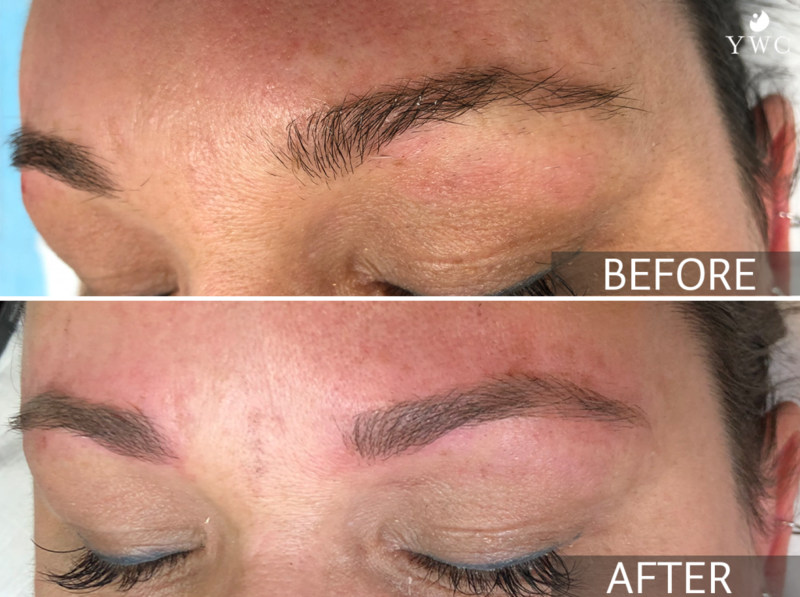 Microblading typically lasts 1-2 years, so we recommend a yearly touch-up to keep the color fresh. There’s more circulation in your face than other parts of your body, so the color will fade more. Your face sees the most wear and tear from exposure to sun, food, certain skincare ingredients, etc. These all cause permanent color to fade and need touch-ups. Wear normal makeup to your appointment. No alcohol or caffeine on the day of the appointment. Do not take aspirin or Ibuprofen 24 hours prior to and after treatment. Do not use Retin A skincare products close to eyebrows 2 weeks prior and after treatment. Do not use AHA skincare products close to eyebrows 2 weeks prior and after treatment. Do not scratch, rub, or pick at brows. Avoid water on the eyebrows for 4-5 hours. Do not exercise, tan, wax, or thread until fully healed (up to 7 days). Apply provided ointments 1-2 times a day after the first 48 hours. Avoid makeup, eyebrow pencil, lotion, or other facial products on the brows. When can I expect to see results? What is the healing process? Day 4-7: eyebrows will be dark and itchy. They might start to scrub/flake off. They will look patchy and uneven during the healing process, but this is normal. Day 7-10: Scabs should be gone. Color might be lighter, as it has been absorbed under the layer of skin. In the following week, it will resurface as skin cells repair. Week 3-4: Brows will appear as true color. Eyebrows may look patchy or uneven in shape. Week 4-6: Touch-up time! Small corrections can be made at this visit. The healing time varies from person to person, but usually, it takes about 7-10 days for the epithelial crust to form and slough off. That’s when you’re considered healed and when the pigment will settle into the skin. The process is “complete” after a month. For more information, please see the “Permanent makeup aftercare instructions” form in the box to the right. Our licensed esthetician will work with you to minimize discomfort and/or side effects. 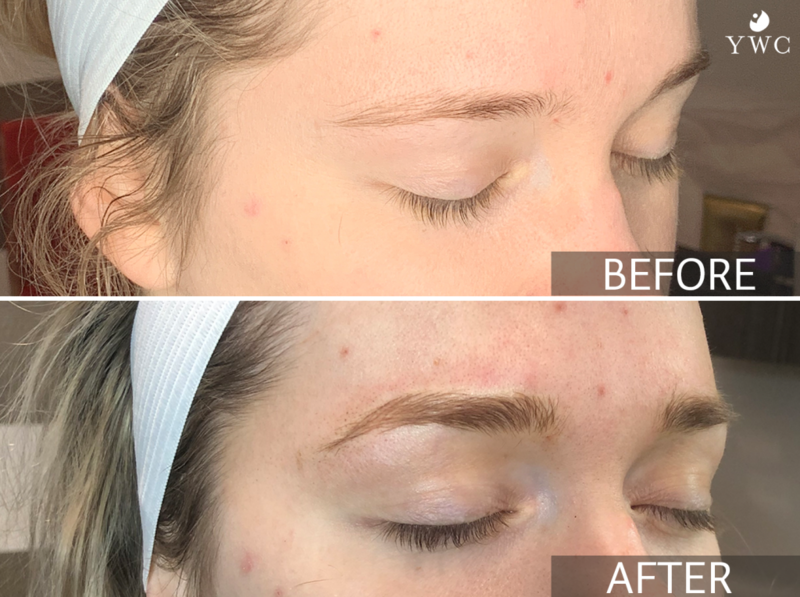 Microblading is a great option for many people, but our licensed esthetician will discuss your health and beauty history with you prior to your first session to ensure your goals can be achieved.